I’m not really a formalities kinda gal. I like pretty stuffs and want things to look nice, even when having a good meal. 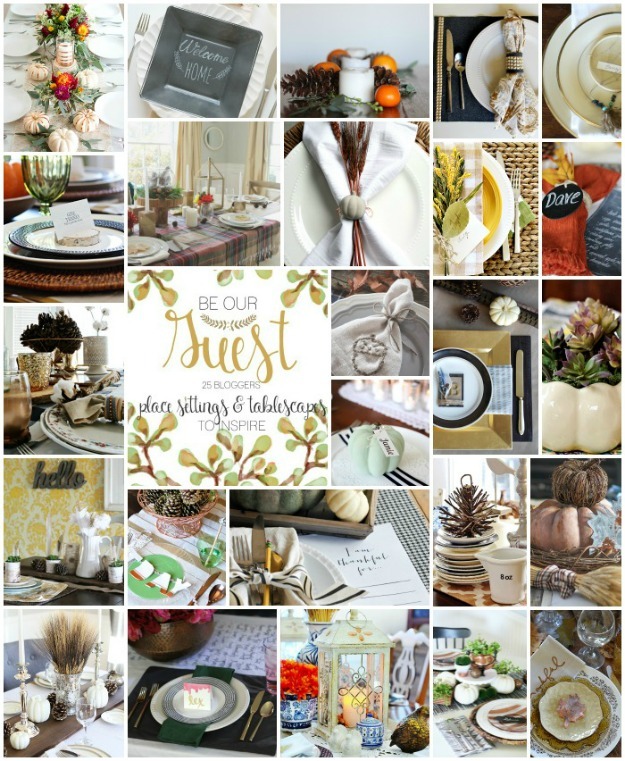 When my buddies Jen and Kelly asked me to join them in a table scape blog party, I had nothing. Like seriously. 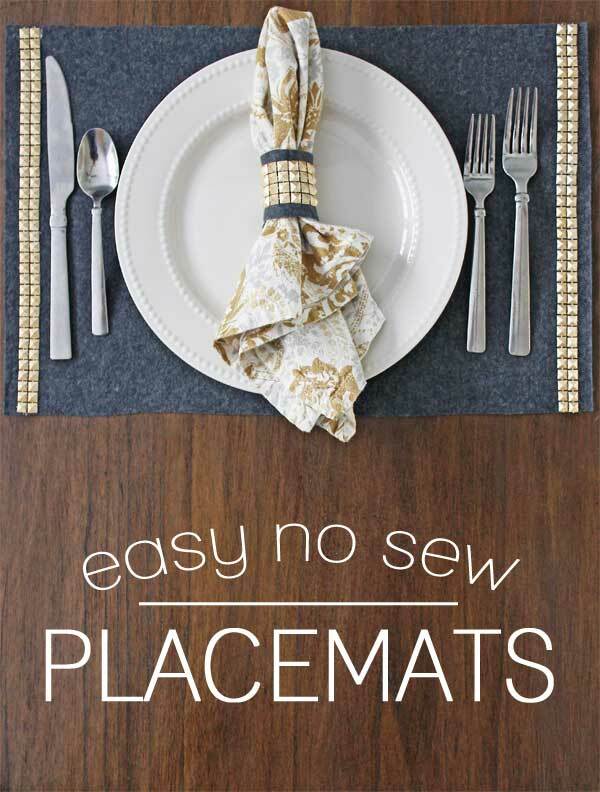 So I decided to make my own no sew placemats. They’re super easy and only take a few minutes to make, so even if you’ve got no time to craft, you might could still squeeze these in! First cut your pieces and get everything ready to glue together. 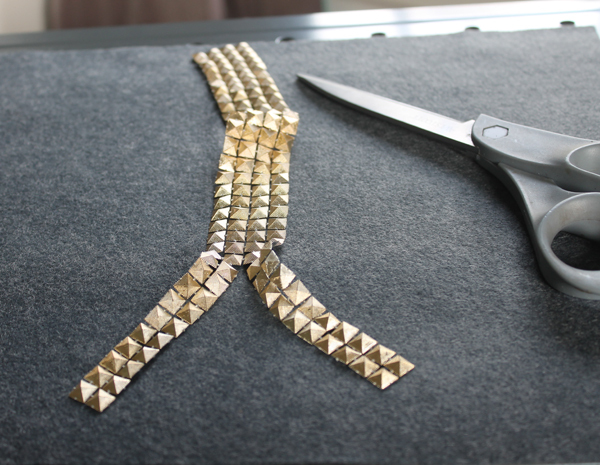 Cut each of your pieces of trim in half, so you have two rows of two studs. 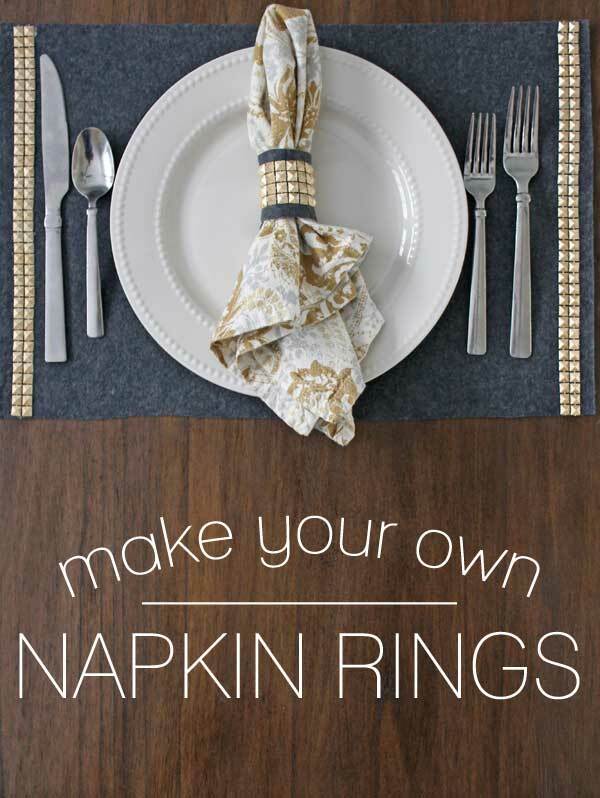 You’ll use one for each side of the placemat. 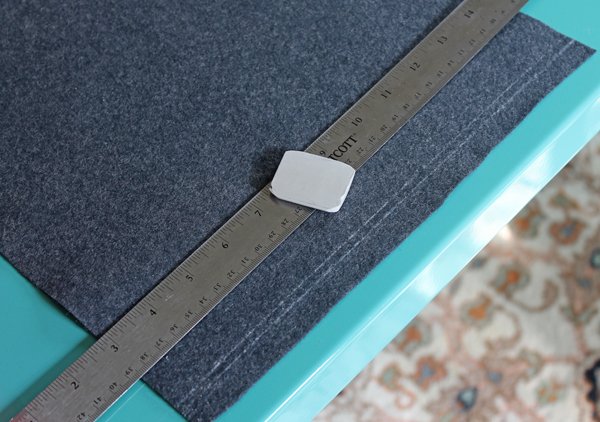 Using hot glue, run a line down the line and glue down the trim. 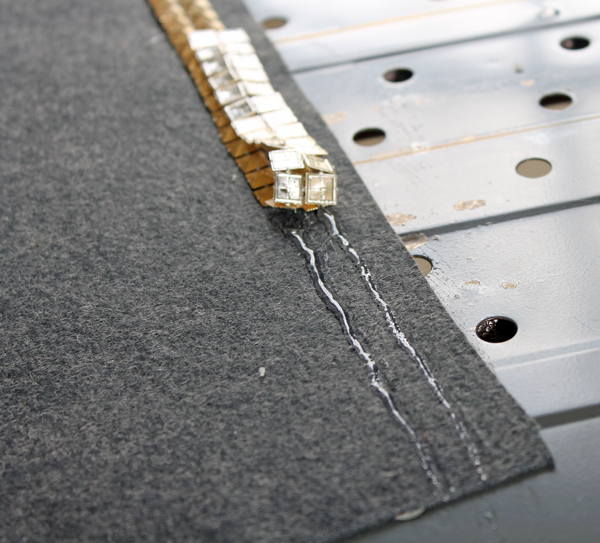 Only do a few inches at a time or the glue will cool too quickly. And be sure to pat the trim, not rub it or it will make a big mess. Think oozing up through the cracks – not good. When the strips are down on both sides, your no sew placemats are done! Like the matching napkin rings? Click the arrow below to find the easy how-to on those! For more tablescape inspiration, be sure to check out these other blogs! Gina, this is a slam dunk! My grandsons (5 & 8) always want to be involved in the holiday prep, and sometimes almost get under foot in my tiny kitchen. I’m going to use this idea by trying to find some beaded or bejeweled leaves for them to glue on. All I’ll have to do is supervise the glue gun part and they’ll be good to go. Or…maybe they can use white glue? Thanks! I love this idea and love the gold trim. Looks very classy. You know I love anything no-sew (and a little sew, too)! You go girl! No sew? Yes, please!! Love it. Thanks for joining in on the blog hop fun. Hugs!! these are great, gina! love the gold detail! What a fun and simple idea! I love no sew! Girl, I love these!! The gold, the studs…awesome!! 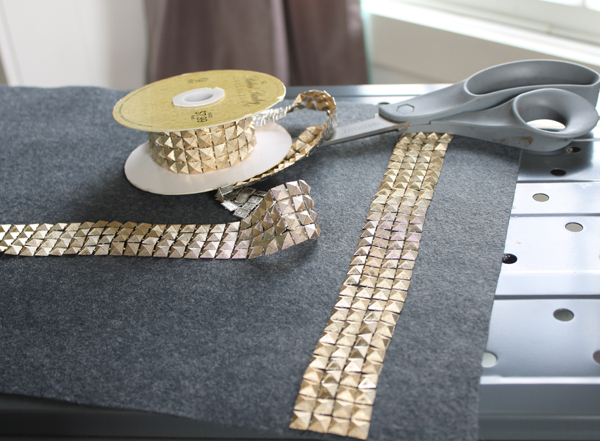 I have some of that ribbon sitting in my craft closet, now I know what to finally do with it!! You came up with such a great idea that can be used any time of the year! Love it! Awesome idea! How do you clean them? You can either spot clean with a damp cloth or gently hand wash and air dry. Thanks so much Norma, you are so sweet!